Glasgow Airport has reported its busiest October in eight years after 836,798 passengers travelled through its doors, representing an annual increase of 14%. The news comes as the airport confirms it has added an additional one million passengers over the past 12 months. International traffic grew by 18.5% due to strong demand for European services, with Icelandair and Wizz Air both reporting a particularly busy month. There was also a significant uplift on long haul services to Toronto, Florida and Dubai. During the month, domestic traffic increased by 8.9% due to a strong demand from both business and leisure travellers on London services and regional routes. In October, Glasgow Airport was also crowned UK Airport of the Year at the National Transport Awards in London, and aviation trade body, ACI Europe, categorised it as one of the fastest growing airports in Europe during the third quarter of 2015. 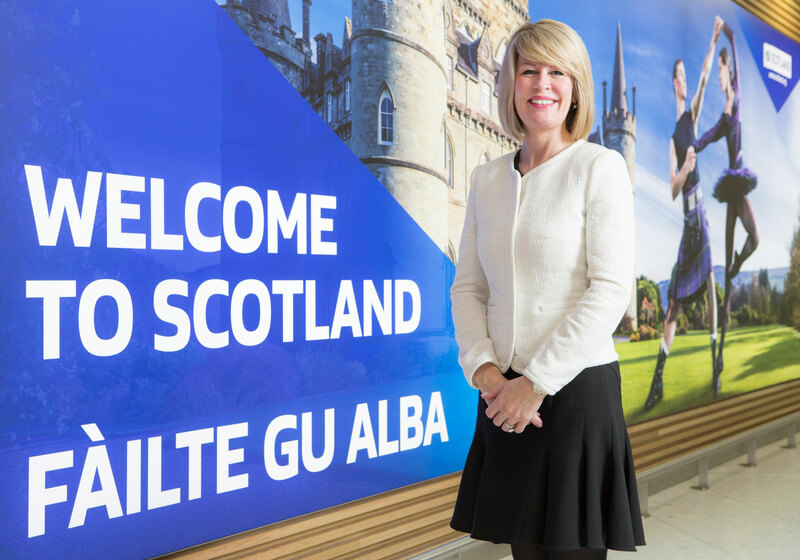 Amanda McMillan, managing director at Glasgow Airport said: “It’s been another fantastic month for the airport in terms of passenger growth and route development, but being crowned UK Airport of the Year was the real highlight. “We have now enjoyed 11 consecutive months of double digit growth and have added an additional one million passengers since October 2014 which is a huge milestone. The fact that ACI Europe has once again categorised us as one of the fastest growing airports in Europe is also extremely pleasing. In October, easyJet announced a new service to Marseille for summer 2016 and Ryanair launched a route to Berlin.